He was told it could never happen. He was told he was inferior and had no rights. He was told he was unfit to associate with white people. But justice was finally going to be served. As Republican Party founder Senator Charles Sumner escorted him into the courtroom, the two men stood in front of the Justices as Sumner made a motion that he be admitted to the bar of the Supreme Court of the United States (SCOTUS). Within moments, John S. Rock became the first black man to be given the permission to argue in front of the highest court in the land. On October 13, 1825, in the town of Salem, New Jersey, John and Marie (Willett) Rock welcomed John Swett Rock to their family. Despite being in a slave state and poor, the family enjoyed the liberty and freedom so many African-Americans did not experience until after the 13th Amendment. At the time, education even for white children was uncommon, and even rarer for blacks. In fact, several slave states passed laws forbidding it. The Rock's understood how important a formal education would be for their son and made it a priority for John. Most poor parents needed their children to work, yet the Rocks sacrificed for John, instead encouraging him in his studies. He responded by drinking in everything he could. By age 18, along with the common disciplines, John was proficient in Greek and Latin. A year later, he accepted a teaching position in Salem at a black grammar school, ready to give back to the community. At the tender age of 20, he became the head of the school, yet he was far from done with his own learning. For the next four years, in addition to his teaching duties, Rock studied medical books. Two doctors, Dr. Jacob Sterne Thompson Sharp and Dr. Quinton Gibson, gave Rock first hand experience as he apprenticed with them, often for 8 hour shifts after a full day of teaching. Well prepared for medical school, none agreed to accept him due to his race. Disappointed, but not discouraged, Rock turned to dentistry as it did not need a formal degree. Rock spent the next year apprenticing with a Salem dentist. Recognizing the large black population in Philadelphia, Pennsylvania, in January of 1850, he decided to open his own practice there. Showing amazing talent for dentistry, Rock was awarded a silver medal for his accomplishments on improvements he crafted to dentures. He received another medal for an essay on temperance that he composed. Unfortunately, too often his patients could not afford to pay him, therefore he could not support himself. Turning his attention back to medicine, Rock gained the support of several white doctors who helped him obtain admittance into the American Medical College in Philadelphia. It only took him a year to earn a medical degree, becoming one of the very first African-Americans to do so. That same year Rock experienced health issues believed to be tuberculosis. Learning of a surgical treatment available in France, he applied for a passport to travel out of the country. Because Taney ruled blacks were “non-citizens”, U.S. Secretary of State Lewis Cass denied Rock’s request. The Massachusetts legislature intervened, issuing him a state passport. After surgery in late 1858 in Paris, Rock remained in Europe for eight months studying French and German. Upon his return, he closed his practice due to his condition on the advice of his French physician. Still passionate about equal rights, freedom, and helping his community, Rock began studying law. 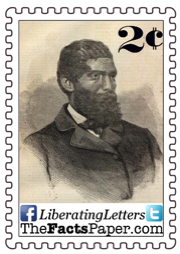 By 1861, he was admitted as one of the first African-Americans to the Massachusetts bar and had his own law practice. Shortly after, he was appointed Justice of the Peace for Boston and Suffolk County by Governor John Andrew, an abolitionist and organizer of Massachusetts’ Republican Party. After Congress approved the enlistment of black men into the Union Army in 1863, Rock helped recruit and assemble young black men for the 54th Massachusetts Infantry Regiment led by Robert Gould Shaw. This was the first black unit officially recognized in the Union Army and was commemorated in the 1989 movie Glory. Sumner seized the occasion to take Chase up on his invitation. After ushering Rock into the SCOTUS courtroom, he proceeded to say, "May it please the Court, I move that John S. Rock, a member of the Supreme Court of the State of Massachusetts, be admitted to practice as a member of this Court.” Several of the four justices that sided with Taney in the Dred Scott Decision were present when Chase nodded in agreement. They watched as John S. Rock, a man they said had no rights, not their equal, and could never be a citizen, was sworn in by the court clerk to argue cases in front of them. The February 7 issue of the New York Daily Tribune captured the moment. Despite the historic and momentous event, John returned to reality as he was arrested while trying to board a train back to Boston for not having the proper travel pass required for blacks in Washington D.C.. There was much more work to still be done. However, Rock soon made history again as the first African-American to be received by the United States House of Representatives. Unfortunately, his personal contributions towards the advancement of blacks would soon end. When he was in D.C. to be sworn into the SCOTUS bar, he contracted a respiratory infection of which he never fully recovered. He died in Boston on December 3, 1866, at the age of 41, never having the chance to actually argue a case in front of the Supreme Court. Rock was buried in the Woodlawn Cemetery in Everett, Massachusetts. Liberty, it is shameful that a man like John S. Rock has been lost to history despite his early death. He achieved more in his 40 years than most do in twice as much time. As someone who experienced extreme racism and discrimination, he never gave up. He didn’t seek out safe spaces when things got tough, he tried to make America safe by first improving himself. You may not be able to change the world, but you can always change yourself. We cannot control how the world is going to treat us, but we have full control on how we respond to it. Whenever the world put a wall in front of John, he found a window to go through. He never accepted ‘No’ as an answer, even if it meant waiting for a while until he moved forward. The people who give up never really make a difference. They never truly accomplish anything for themselves or anyone else. America has been turned into a country of victims for the sole purpose of pushing them into turning to the government to solve their problems and misery. The truth is, only you can do that. Those in power are desperate to lead us right back into slavery with government as master. People like John S. Rock did not give their all for us to throw it all away. To do so would be an even more shameful and dishonorable act towards him and others who fought so hard to give all citizens equal liberty and freedom. Stand as solid as rock - John S. Rock.